- Date: 08/2012, Seed: $500 k (post valuation: $6000000). Kuznech is an image search technology for e-commerce and social services. We help consumers discover products by visual similarity, just like in an offline store you would ask: "This is ok... But I would like to see what else you have like this?" We also enable visual search on image intensive sites, like photo stocks and social networks. With first beta opening in January 2013 after 2 years of heavy R&D work, by July same year Kuznech serves more than 20 mln page views / month in total for more than 50 customers in Russia, US and other markets. Our customers enjoy up to 4x increase in sales conversion among those customers who use visual search widgets by Kuznech. Kuznech is a young and dynamic startup. We are hungry for new cool ideas for image search applications, employees, partners, investors. Don't hesitate to contact! 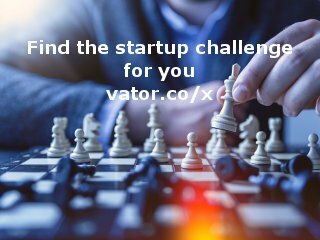 Professional top manager in IT, business angel and venture investor with more than 10 years experience in building IT/software companies in Emerging Markets and Russia. Technology is licensed per search query in the range of $3-10 per 1000. In March 2013 Kuznech charged the first paid customer, in July 2013 it delivered 3 mln paid queries and plan to reach 100mln paid search queries in Dec 2013. Key to success in image saarch is not only the quality of the technology, but meaningful customer engagement model (as people have to understand how to search by image) and monetization that would cover the running costs of the search system. Kuznech is not trying to "boil the ocean", but focus on e-commerce, where monetizaiton model is clear and verified, while consumers are willing to engage with image search to find the product they need but can't explain in words. Pavel Cherkashin confirmed Kuznech Inc as an investment.